In Sports on Television, Dennis Deninger provides an all-encompassing view of the sports television industry. 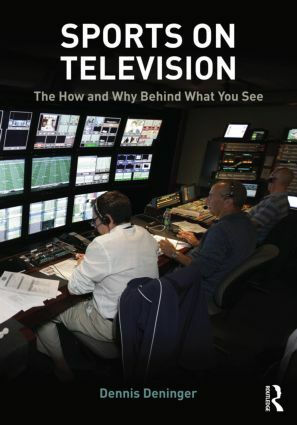 He progresses from the need for this book, to the history of the industry and discipline, to the pioneering events of sports broadcasting and sports television, to a nuts-and bolts, behind-the-scenes look at a sports television production. All the while, he examines the impact that sports and the mass media have had (and are continuing to have) on one another and on society. WHO’S WATCHING TV SPORTS, AND WHY?